Jeem et Sherry love sparkling waters. Perrier and San Pellegrino are good waters and readily available across Canada. Badoit is an excellent water too, slightly lighter than the other two,though much less visible in our stores and restaurants. Badoit is distributed in Canada by Coca Cola, though it is actually owned by the great French company Danone. Perrier and Pellegrino, one sourced from France, the other from Italy, are both owned by Nestle, which is unfortunate, given the nasty nature of that Swiss transnational. Now. Finally. There's a water to call our own. It is Montellier and it's rapidly becoming available across Canada, at stores like Safeway, Save-on, PriceSmart and possibly London Drugs (Jeem isn't quite sure about them). Montellier is from the Quebec-based company called Alex Coulombe ltée. 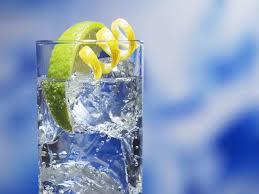 It tastes and feels great, just like the sparkling waters of Europe. Alex Coulombe ltée began operations in 1905 and it's still a family owned and operated business, mainly bottling products of the Pepsi Cola company in Quebec. Thirty years ago Alex Coulombe ltée found a pure and naturally protected spring source in the lowlands of the St Lawrence valley, and Montellier water was created, based on the Coulombe family's belief that Quebec deserved its own local, quality sparkling water. The dream was always to expand Montellier's reach across Canada, and it's finally happening through a distribution deal with Pepsi. Just as Canadians turned away from Heinz ketchup in favour of the Canadian-sourced French's, maybe it's time we all discovered a truly great Canadian sparkling water. 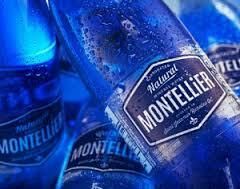 Montellier is naturally spring-sourced, in Canada, by a Canadian family-owned business. And it has the official Jeem Seal of Approval on every bottle - and as we all know, that's not easily come by. Photos from the website of Alex Coulombe ltée. just tried it and i'm truly impressed, intend to buy it again and again! Delicieux! Merci beaucoups, M. Coulombe et famille. An affordable quality eau-minerale de Canada. Salut!